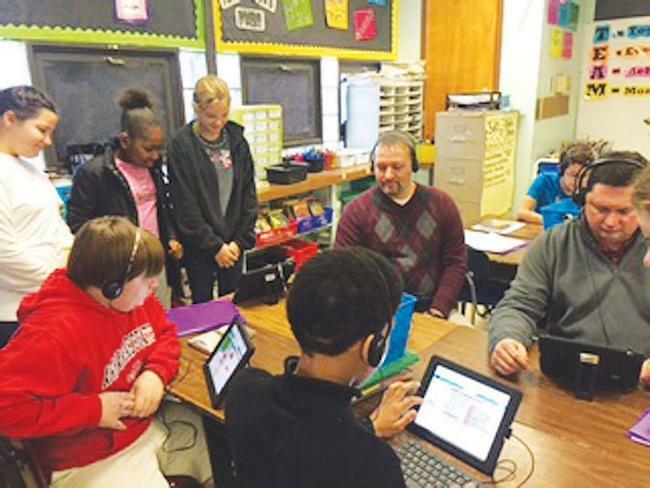 Ms. Lanham’s 6th grade class and others grades at Barton Elementary took part this week in an Hour of Code. This event was occurring in participating classrooms throughout the world reaching 10 of millions of students in 180 -plus countries, and Barton was honored to have been part of this amazing event. By starting computer science early students will have a foundation for success in any 21st century career path. Gifted and Talented Program Coordinator Debbie Young and Superintendent David Tollett informed the faculty of this perfect opportunity for all students and the Barton teachers made it happen.